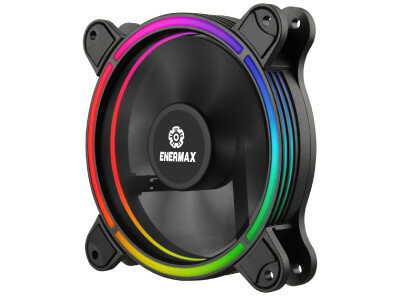 ENERMAX T.B.RGB is designed for RGB enthusiasts to glitter your systems. 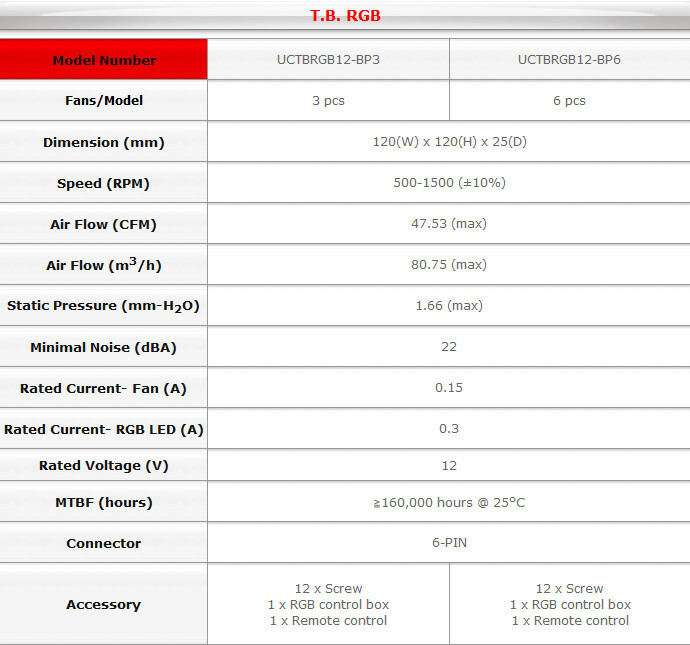 Thanks to ENERMAX LED LIGHTING technology, T.B.RGB shows consistent and uniform luminance. Moreover, unique halo arc-shaped frame design delivers gorgeous and vivid lighting effect. With the patented Twister Bearing technology, the T.B.RGB fan can offer superior silent performance while providing incredible lighting effects. 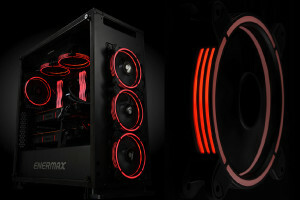 With a view to providing bright and even lighting, T.B.RGB applies ENERMAX LED LIGHTING technology to make it possible. The unique halo arc-shaped frame design delivers unique 4-ring RGB visual effect for lighting perfectionists. The T.B.RGB series is certified by ASRock, ASUS, GIGABYTE and MSI for RGB synchronization. For those whose motherboards do not support RGB-sync, T.B.RGB allows users to select preferred RGB lighting effects, colors and fan speed via the included ENERMAX RGB control box and 3-in-1 remote control. With the patented Twister Bearing tech., the T.B. RGB fans combine stunning RGB visual effects and superior silent performance. T.B. 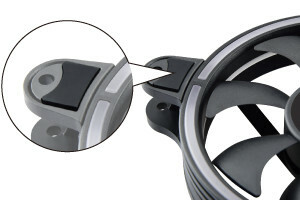 RGB fans also come with the detachable blade design which enables users to clean the fan blade much easier. T.B. RGB series will be available in 3 Fan Pack (UCTBRGB12-BP3) and 6 Fan Pack (UCTBRGB12-BP6). Personally, I think Corsair has really nailed down the RGB market. Im really liking their products and designs as of late.